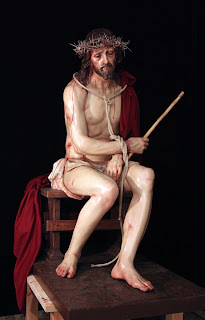 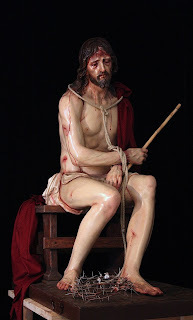 IMAGEN DE TAMAÑO NATURAL TALLADA EN MADERA DE CEDRO Y POLICROMADA AL ÓLEO QUE REPRESENTA A CRISTO SENTADO EN UN TABURETE TRAS HABER SIDO FLAGELADO , CORONADO DE ESPINAS, Y PUESTA SOBRE ÉL LA CLÁMIDE PÚRPURA Y LA CAÑA COMO CETRO, SÍMBOLOS DE LA BURLA DE LOS SOLDADOS DE ROMA QUE LO MARTIRIZARON. 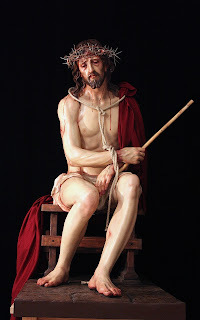 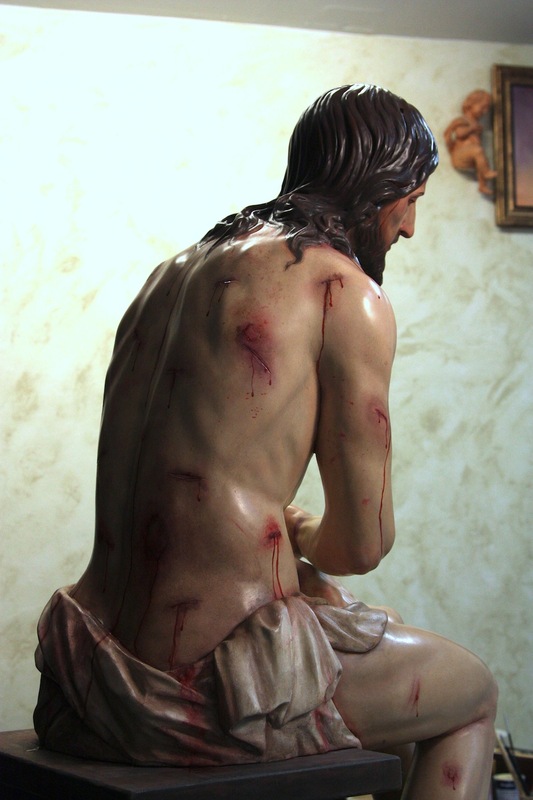 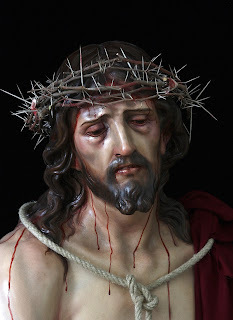 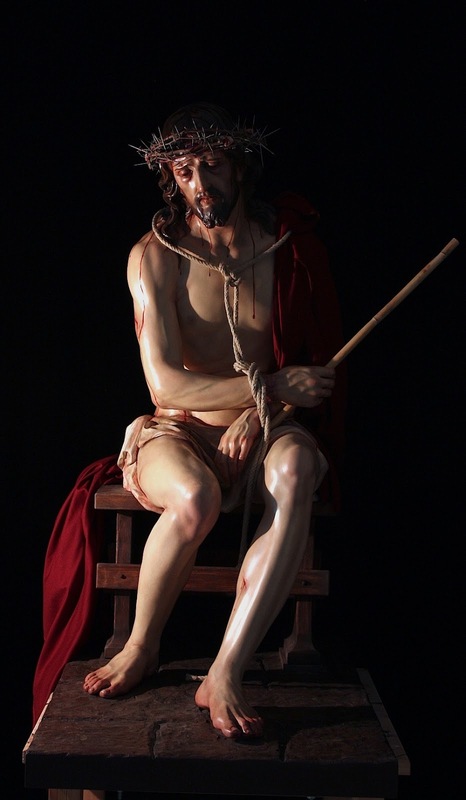 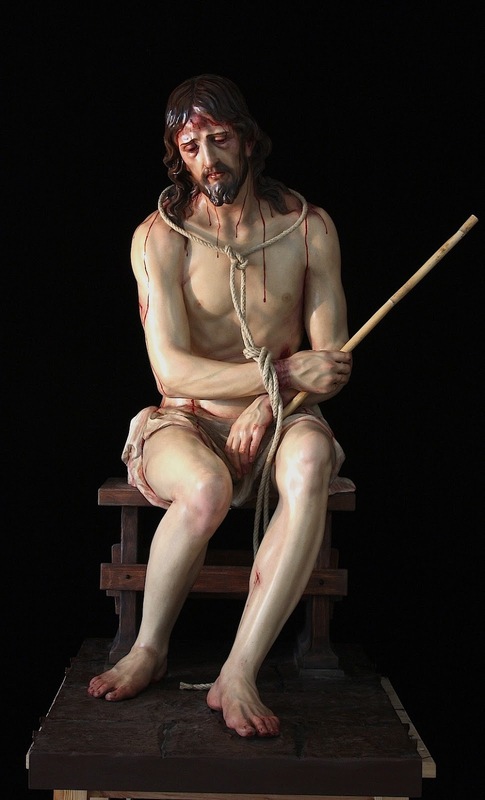 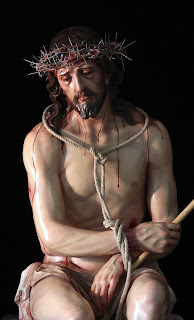 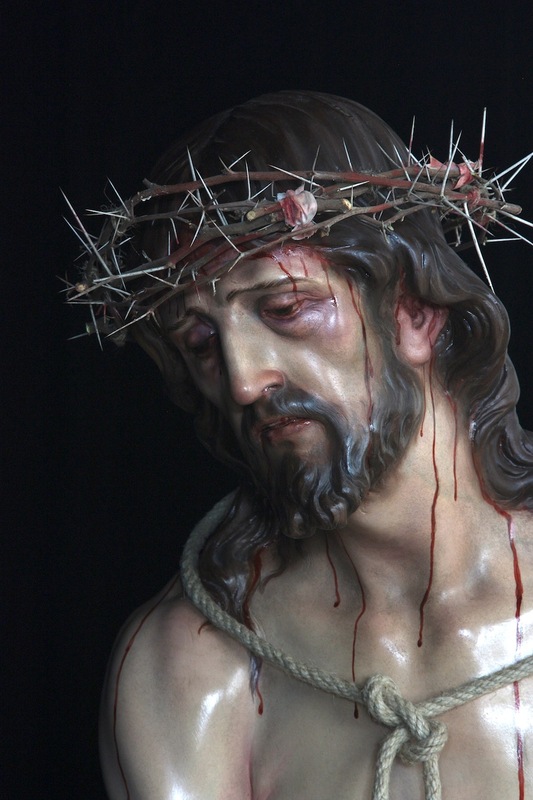 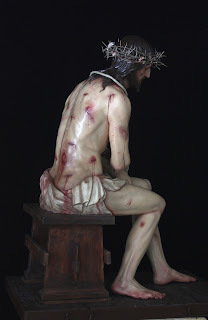 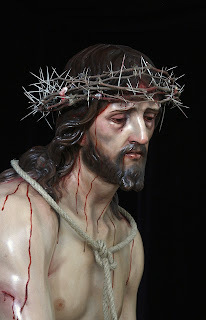 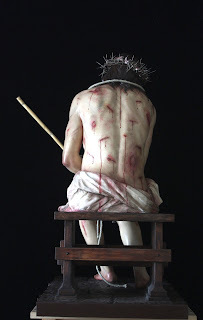 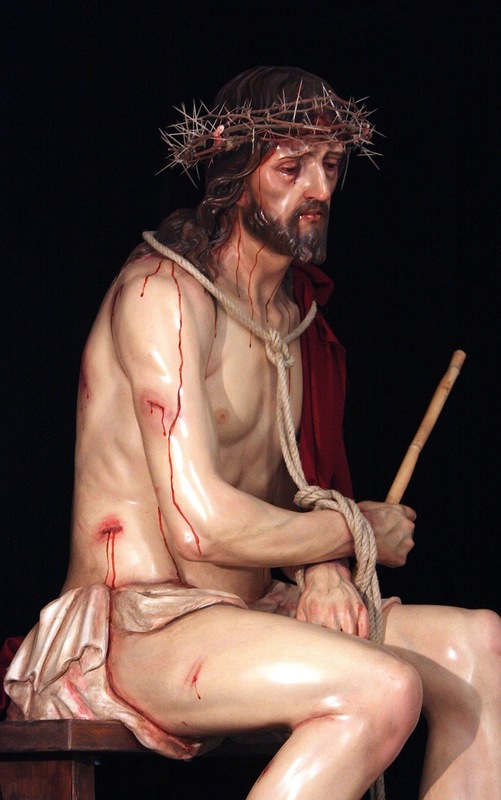 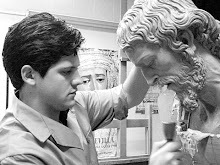 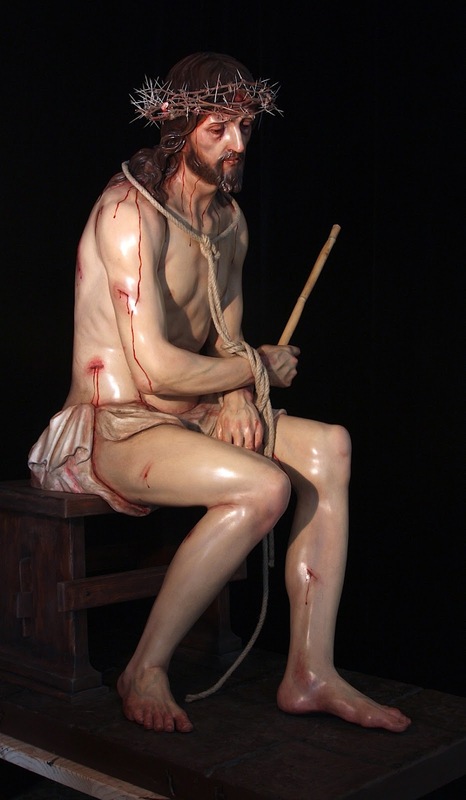 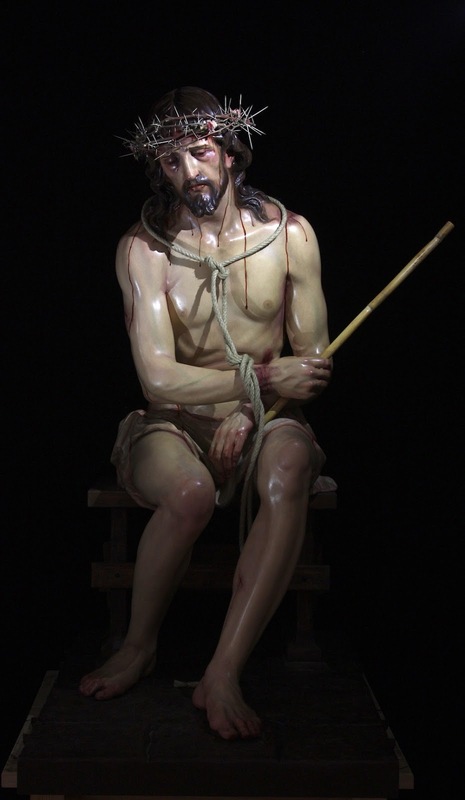 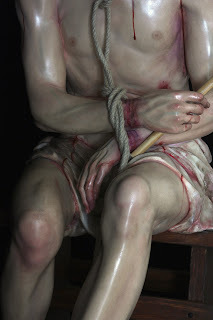 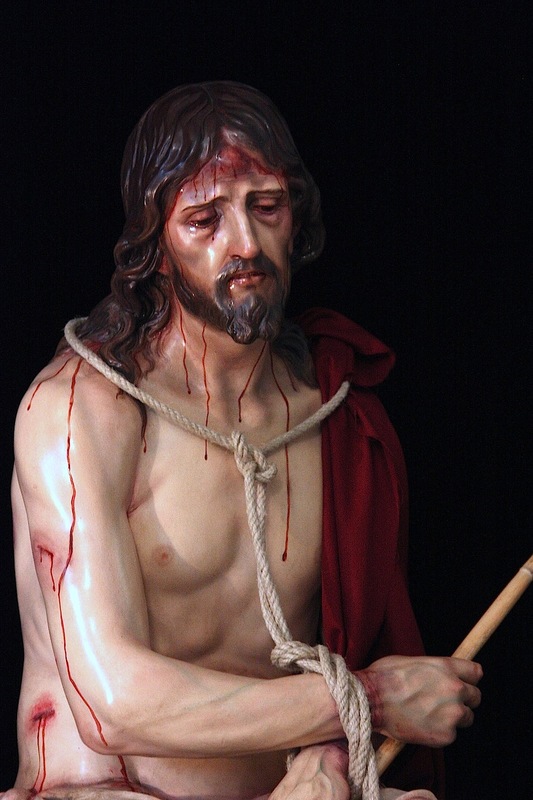 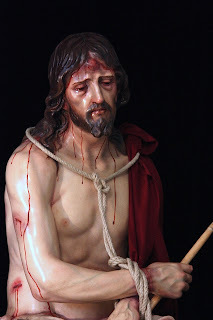 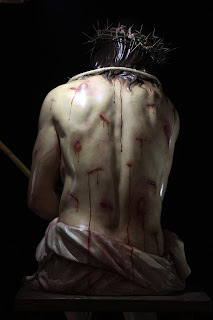 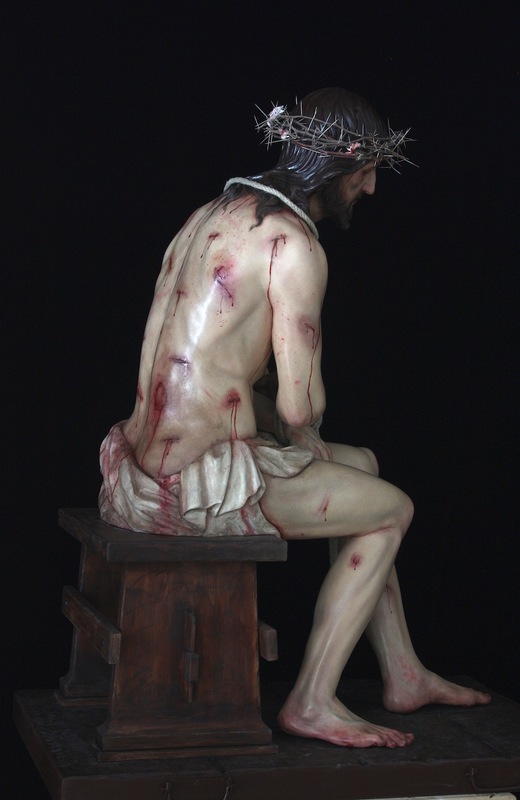 REPRESENTA LA FRAGILIDAD DEL HOMBRE ROTO DE DOLOR QUE SE DEJA CAER ENCORVADO SOBRE EL ASIENTO, PERO QUE A LA VEZ DEJA VER EN SU ROSTRO LA MANSEDUMBRE Y DIVINIDAD DEL HIJO DE DIOS MISERICORDIOSO. 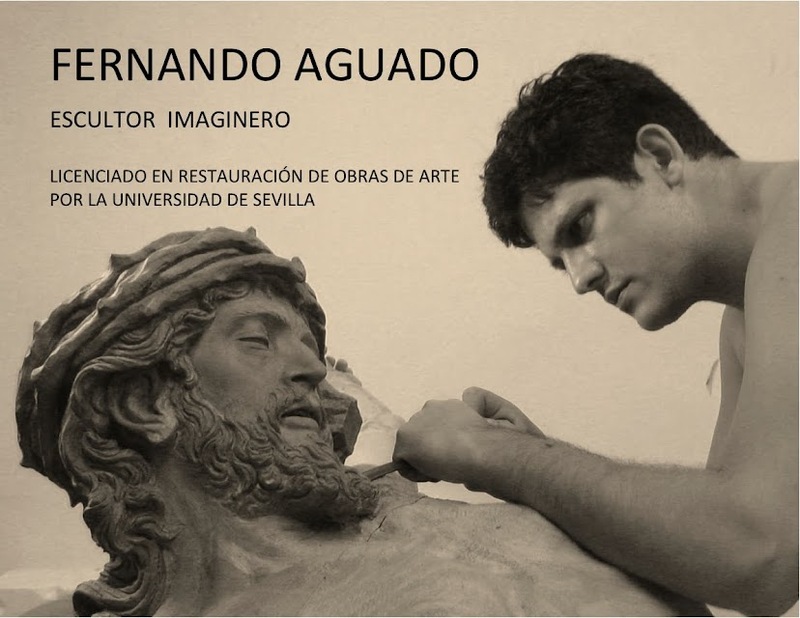 SIGUE UNA ESTÉTICA NATURALISTA, DE ANATOMÍAS ESTUDIADAS DEL NATURAL PERO SUAVES, EN FAVOR DE LA DULZURA QUE SE INTENTA TRANSMITIR.